Autobahn Motorsports Schmoozes Clients with Tailgating Bus Wraps! What do you do if you want to impress clients—or should we say clients that own BMW vehicles? 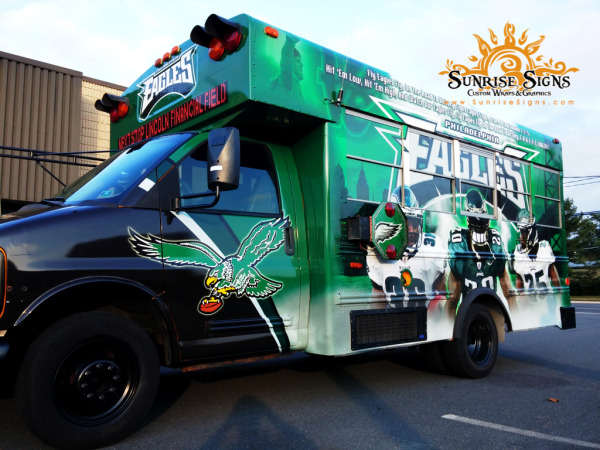 First you buy a Collins school bus and then call Sunrise Signs to install some inviting tailgating bus wraps revealing your city’s favorite NFL Team, the Philadelphia Eagles!